My last piece of the day. Chinese signage and little bits of line work completed at home after I was chased off by stall owners cleaning up for the day. I've decided to leave this in black and white for now. The last rooftop rendezvous at Shek Kip Mei from my previous post drew a lot interest among Urban Sketcher friends who missed out last time, so we agreed we’d go again. A date was picked, and on Saturday, 21 March, a whole bunch of them trudged up the dark, smelly staircase to sketch the view…only to find that half the rooftop was now gone! I didn’t go that morning as I had a stack of work to catch up on, but was quite dismayed when I saw the photo the group shared, of the demolition crew crushing the building. That afternoon, we were due to meet at Graham Street, scene of yet another disappearing act of Hong Kong's oldest sectors. I had just read about the URA's plans to 'renew' the area, but was really saddened to hear that this 170+ year old market, so unique, so Hong Kong, was slated for demolition by the end of the month! The Sketcher Kee group, also up in arms, had arranged to head down to Graham Street and sketch up a storm in order to preserve anything possible through their artwork. Many of us from Urban Sketchers HK also planned to go, and as soon as I was able, I headed down there as well. There were many heads bowed before sketchbooks and drawing boards by the time I arrived. I walked up from Wellington Street drinking in what I could. The narrow street was pedestrians only, and lined by stalls selling meat, vegetables, fruit and a variety of dry goods for completing a meal; noodles and rice, herbs and seaweed and spices. I watched the patrons too, and they came from all walks of life. Maids lugged bags of groceries for the evening meal. Tai-tais picked expertly through piles of dried mushrooms for the best morsels. Expat couples living in the area browsed, their shopping bags piled with produce from the various stalls. Locals bought their fruit, regulars traded news with stall owners, and tourists swiveled their heads constantly, eyes glued to viewfinders, or smartphones constantly raised. Click-click for posterity. Good thing too. I was updated by Gui and Alvin after bumping into them later. Apparently, scaffolding would be erected the very next day so demolition works could begin. To the right, a wall had been erected, blocking off the construction site that marked a block already torn down earlier. The tattoo of jackhammers filled the air. I guess that's part of the rhythm of Hong kong, like it or not. I couldn't help but feel a welling sadness at the loss of this place though. By 2017, Graham Street would be just another typical commercial-hotel spot. To the right, a wall had been erected, concealing the construction site that marked a block already torn down earlier. The tattoo of jackhammers filled the air. I guess that's part of the rhythm of Hong kong, like it or not. I couldn't help but feel a welling sadness at the loss of this place though. Ben's familiar face was up ahead where the pathway opened up because some stalls had long packed up and closed, knowing their days were numbered. Looking up, I fell in love with the higgledy-piggledy facades of the block in front of me. I've been fascinated by the Kowloon Walled City since hearing about it, and looking, up, imagined that it might have looked a little like this. Balconies jutted at different angles, as did the facades. Different widths, different styles, different metalwork, yet all part of the character of the area; an unmistakeable identity that many of you reading this now, will never see in real life if you haven't already. My Walkstool is better than my Helinox One chair in spots like this. Easy to set up and able to squeeze into tight spaces, I set up in a snap, soaked the view in and put stylus to screen. All the line work for this piece was done on location, and color added later at home. Wanting to make the most of my time, I packed up as soon as I was done, and headed uphill to where Graham Street intersected with Gage Street, taking several reference shots along the way. Up ahead, more sketchers could be seen at various nooks and corners, heads bowing and raising in that particular bird-like way. I had about an hour of daylight left, and eventually decided to spend what remained of that on the edge of Gage Street, in front of a closed up stall. Taxis sometimes whizzed past, honking and missing my knees by inches. The market on Gage Street closes at 7pm, and it wasn't long before the stalls around me began to pack up for the day. I was ultimately forced to leave when a hoarse voice behind me declared that I'd be soaked if I didn't move. The fishmonger was in the process of hosing down the sidewalk at closing time. Ah well...by then, I'd gotten most of my line work done anyway. Just before heading off, I took a final look down Graham St. There are upper sections that are also slated for demolition, but maybe not just yet. I know where I'll be sketching whenever I have some time off in the next few months. I've been sketching exclusively with an iPad for the last year and a half. I've also conducted a few workshops on the subject now (just did one for an Apple Store last Friday), and been asked many, many times about the equipment I use. While I have written about some items before, I thought I'd do a post that summarizes my top-recommended gear and accessories for easy reference. I'm still using the original iPad Air and love it. The iPad Air 2 was released in October 2014, and is even lighter, and more powerful. If you're serious about sketching on the iPad, I'd suggest you get the latest model, with the largest capacity you can afford (Tip: don't buy 16GB iPads - you'll be wasting a ton of time trying to manage space). This will future-proof you for at least 2-3 years. If you have an older iPad and wonder whether you'll still be able to use it, the oldest you can use with a good pressure-sensitive stylus is the 3rd generation iPad, released in 2012. 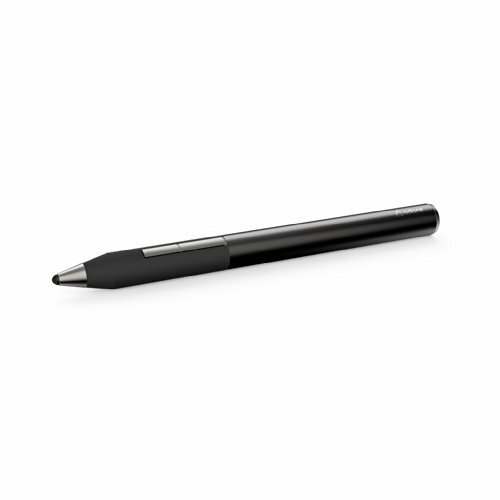 Apple started using Bluetooth 4.0 technology then, and this is the standard for all the best styli on the market now. Guess what the pros use to create? After testing multiple art/sketching apps, I can confidently say that there's nothing like Procreate. Simple yet highly customizable, it stays out of your way while ensuring that all the tools you need are easily accessible in a clean UI. Still my favorite stylus! 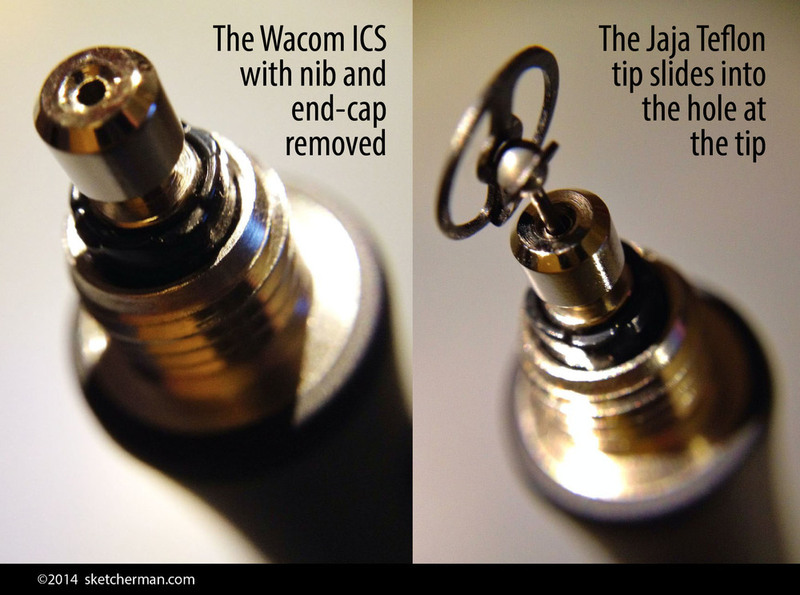 Remember that the nib is modified though. 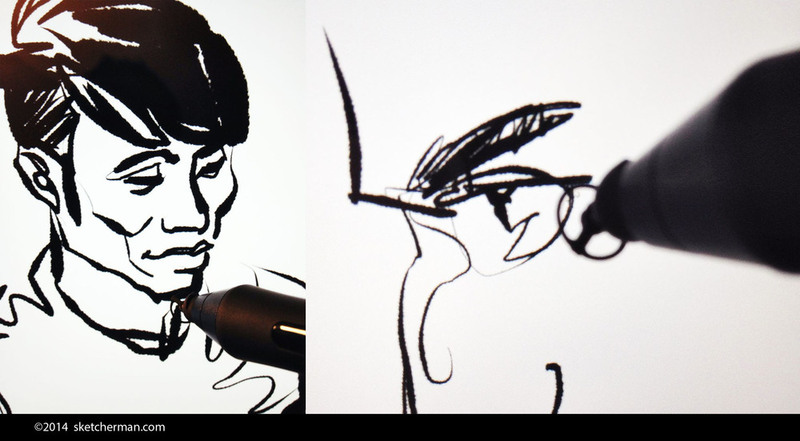 I have also tested the latest Adonit Jot Touch with Pixelpoint (what a mouthful!) 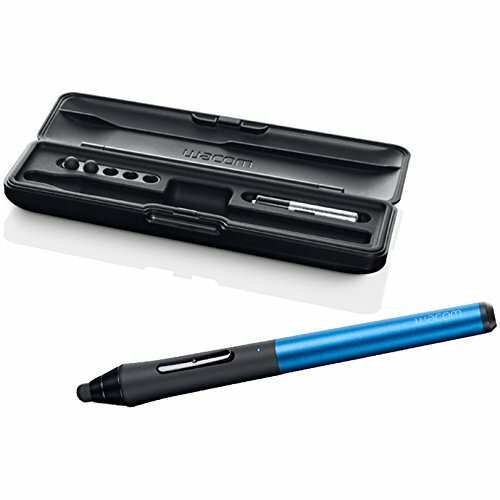 and that's what I recommend if you'd like to get a good pressure sensitive stylus without needing to modify anything. This is a new release and is pretty good. Full review coming up in the following weeks. This tablet holder takes sketching on the iPad to a whole new level. Absolute awesomeness! This one raises eyebrows wherever I go, and after using it every day for hours on end, I can also highly, highly recommend it. 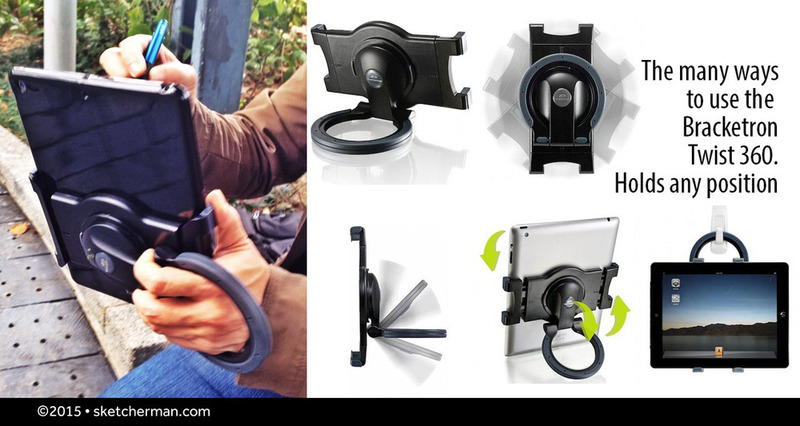 The Twist 360 is an extremely versatile universal tablet holder. I love that it can accommodate most larger tablets (sorry, 7" tablets - Kindles, iPad Minis - don't fit, but I'm testing one that does and will post that later). 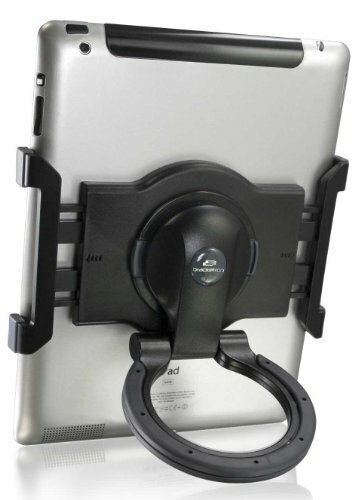 The Twist 360 is a wonder that allows me to hold my iPad in a myriad ways, stand it horizontally or vertically, with any degree of tilt I desire, even hang it. It takes sketching on the iPad to a totally different level and I'm totally dependent on it! I have hunted high and low for a pair I like and tested several that I didn't. 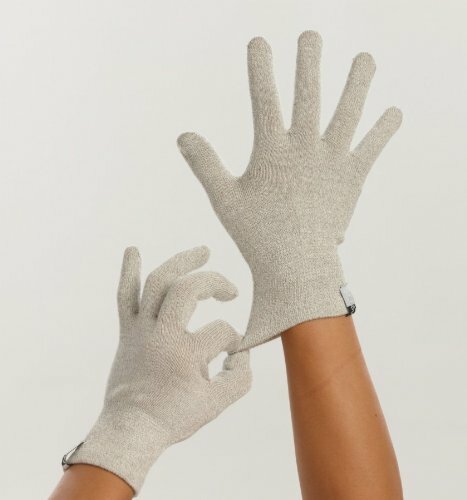 These gloves from Agloves are awesome. Woven through with conductive silver in bamboo fabric, they're really comfortable and allow me to to use multi-finger gestures on my iPad while serving 2 purposes: keeping my hands warm in cold weather, as well as erasing smudges on the screen! haha! 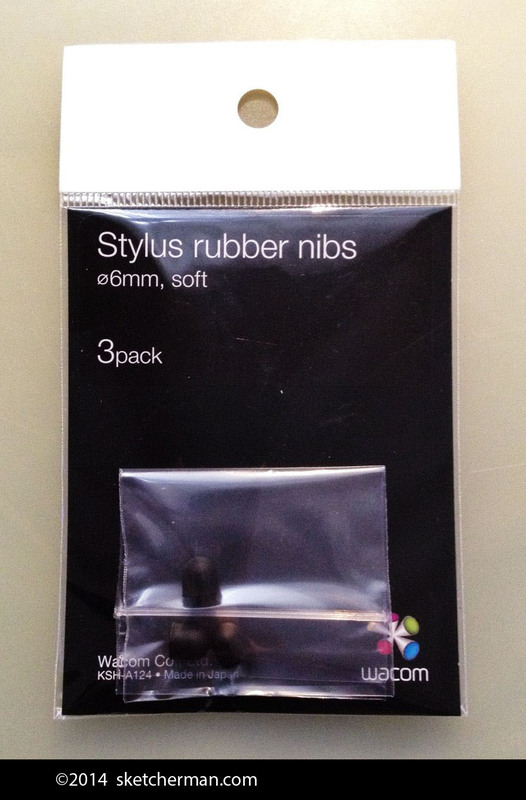 I like that the entire glove is capacitive, not just the tips. These are very light and pretty thin (exactly what I was looking for) and so may not be sufficient for you if your winters are very cold. Agloves has thicker, warmer versions for that. Here are my favorite options, ticking all the boxes and working better in slightly different situations. 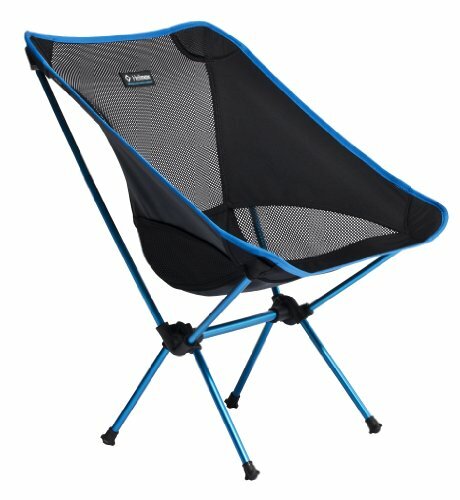 The Helinox One Camp Chair was my first purchase. It's really quick and pretty idiot-proof to set up, and packs to about the size of a sneaker. Weighing in at under 1kg and under 2lbs, I can pick it up with my little finger. This beauty is also so comfortable to sit in, and yet is strong enough to take 350lbs! It leans back a bit, and is probably not for those who like to be very upright. (I do find that slipping a jacket behind me is an easy fix for that when i do want to sit up straighter.) Another plus: the curve of the fabric cups my elbow, thus supporting my arm for the hours I spend outdoors sketching. When it's time to kick back, have a drink and swap sketching stories under the trees, wow- this is the absolute best chair to stretch out and relax in! 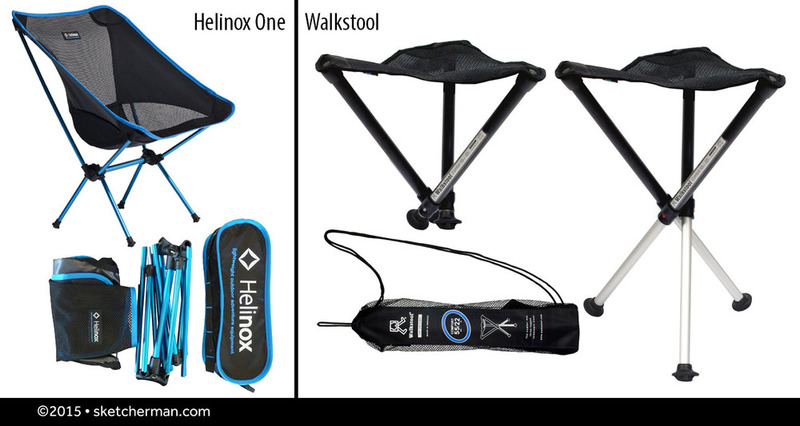 The Helinox One has a larger footprint and takes about 20-30 seconds to set up however. When I know that I won't have much space (think museum interiors and narrow sidewalks) and want almost instant setup and takedown, my seating of choice is the Walkstool 55 XL. It comes with its own handy mesh bag that you can sling over a shoulder. I really wanted something that would fit into any of my backpacks, however. 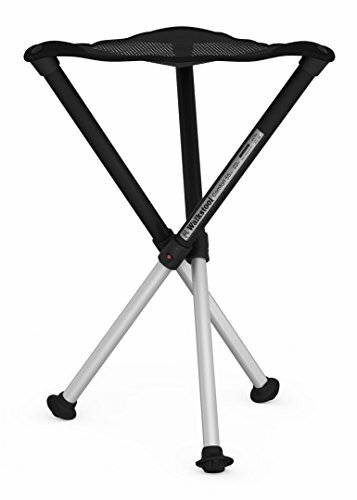 Telescoped, it's a compact 14" long, and love that this stool can be used at 2 lengths: short and fully extended. There are several sizes, so you can pick one that suits your build. The seat is large and comfy, and I was delighted to find that (in addition to lightning fast setup) I automatically sit up straight when I use it. Slouching takes effort when I'm on it, so my posture instantly improves! Neither of the 2 seating options is particularly cheap, but pick any up and you'll feel instantly that they're built to last. I've used a lot of bargain basement clunkers that were either bad for the back or heavy as hell. Truly, you get what you pay for, and as sketching outdoors is something I do so much, I realized I should just invest in solid, dependable options. These are light, strong, very durable and ergonomic to boot! I figured if I got 10 years out of them, these would each only cost me about $10 a year. When you look at it like that, they're no brainers, really.